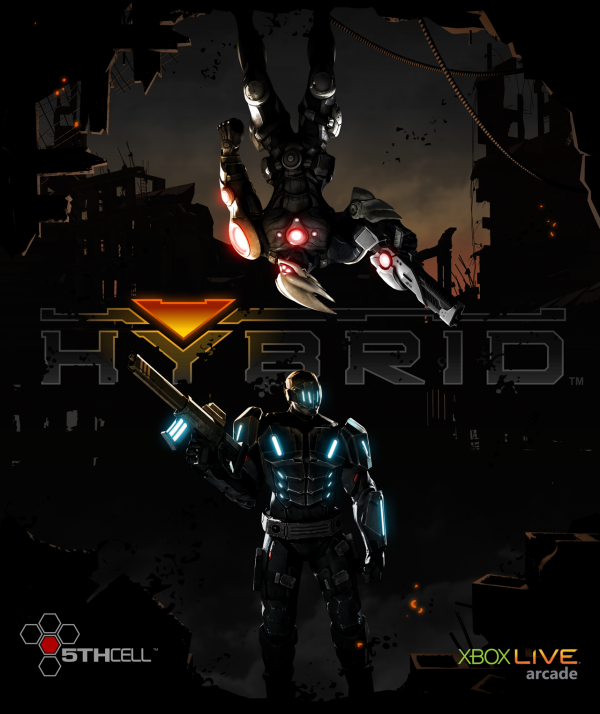 New details have emerged today from 5th Cell regarding their upcoming XBLA shooter Hybrid along with a time frame of it’s official reveal. Hybrid will be set in a world devastated by an extinction level asteroid that takes out a large number of Earth’s population. To make matters worse, an organism hidden in the planet destroyer infects half of the survivors and genetically alters them, bringing about a new race known as the Variant. 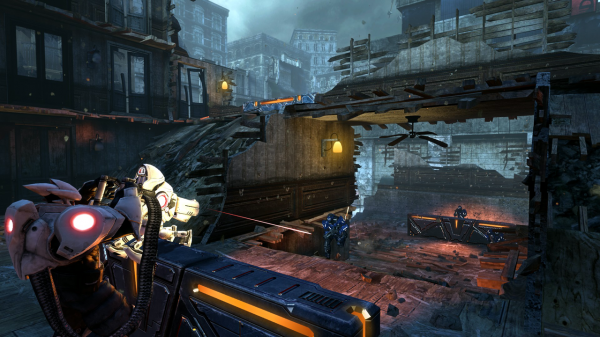 Those who were immune to the infection, the Paladin, are pitted against the Variant in a post-apocalyptic world war. 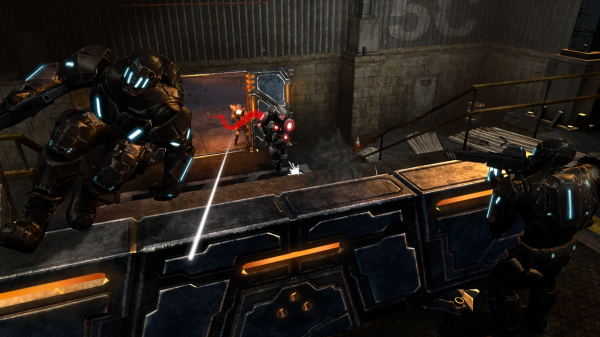 The game, in a bold move for an XBLA title, will involve a persistent online world war between the two central factions. Throughout multiplayer matches players choose with faction they wish to represent to capture territories and countries on a unified world server. A leveling system will be implemented to give players new abilities, weapons, armor, etc. 5th Cell is holding information close to them for the time being on what they call a “Combat Focused Movement” system, but promise to reveal what it is in due time. As for when we can see Hybrid in action? 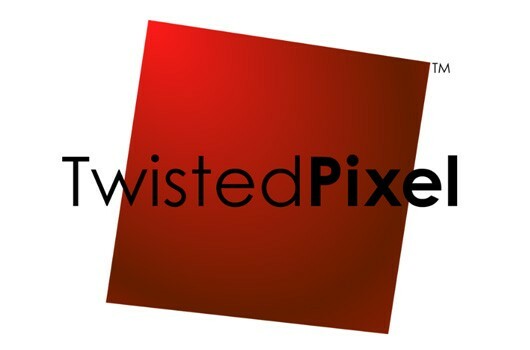 In little over a month, 5th Cell will be showing off it’s new baby to the crowds at GDC 2011. Until then we have a handful of new screenshots of Hybrid embedded in the article.